Get the first virtual clubs from Adams on WGT, the new Tight Lies Hybrid unlocking at Level 63 and Level 88. These new virtual hybrids give you extra forgiveness and precision so you can swing more confidently, even on those tough second shots. 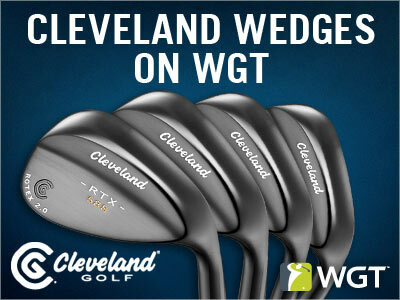 The new 588 RTX 2.0 virtual wedges are the latest from Cleveland on WGT and are available now in four different lofts. With more forgiveness, spin and a slower WGT swing meter, these clubs are a great choice for shorter approach shots. Available in 52°, 56°, 60° and 64° lofts, unlocking now starting at Level 26 and Level 74. 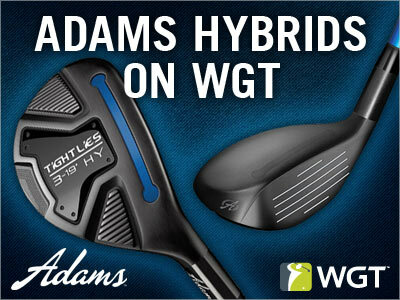 Get the first virtual clubs from Adams on WGT, the new Tight Lies Hybrid. Swing more confidently, even on those tough second shots with extra forgiveness and precision for top players. Unlocking now in the WGT Pro Shop at Level 63 and Level 88. The latest virtual wedges from Cleveland give you more forgiveness, spin and a slower WGT swing meter – a great choice for shorter approach shots over your pitching wedge. Now available in 52°, 56°, 60° and 64° lofts, unlocking starting at Level 26 and Level 74. New WGT Course - Coming in March! 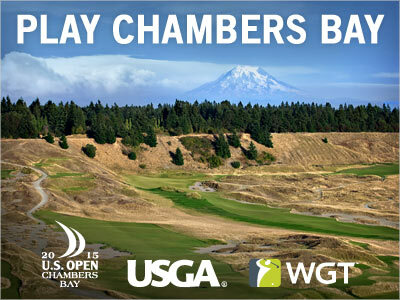 Starting March 1 we'll be rolling out the newest WGT course, Chambers Bay, as part of the 2015 Virtual U.S. Open. You'll get your first look at the host course of the 2015 U.S. Open Championship in the Front 9 closest-to-the-hole challenge (full course coming to WGT in May). The first round of the Pebble Beach Classic tournament has ended -- on to Round 2, with players already posting their final scores in this month's WGT Virtual Tour tournament. The Tour Legend tier is currently led by FaberV, with a final combined score of 92, followed by BBoyce (93), GEHL13 (95), jaycen129 (97) and WaLk0fLiFe (98). There is still a lot of time left to post your single-play second round score, this round is open through 2/28. After you post your final Pebble Beach Classic score, spend some time polishing your game to get ready for the first Major tournament in the 2015 Virtual Tour, coming in March. You'll be competing for a huge 400,000 WGT Credit purse, that will count toward your overall standing, so make sure you're ready to bring your A-game. Today, 2/23 is the last day to post your first round score in the Pebble Beach Classic tournament. 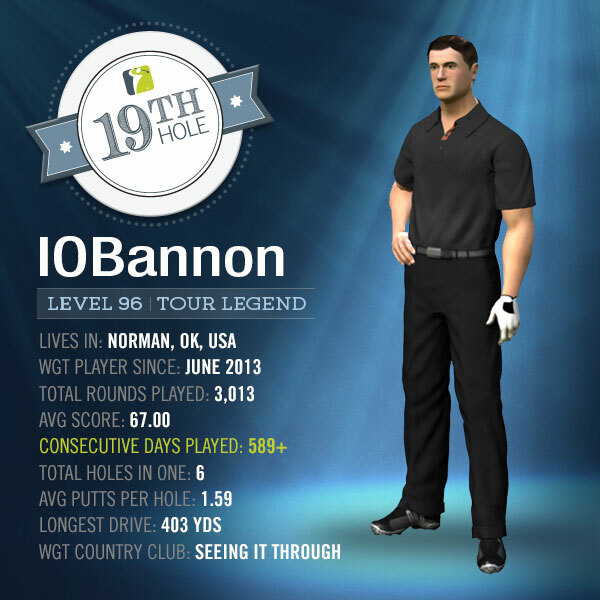 This is the second tournament in the 2015 WGT Virtual Tour, and the unlimited play first round ends today. After you post your first round score, then play the single-play second round (starting tomorrow) 2/24-2/28 for a chance to split the 200,000 WGT Credit purse. We're kicking off a new series called, "WGT 19th Hole," focused on featuring the players, personalities and country clubs that make up the global WGT community. YancyCan (aka Yancy), is one of the most well-known WGT players, infamous for "spotting paranormal things & events on the courses of WGT" and documenting his hunts. 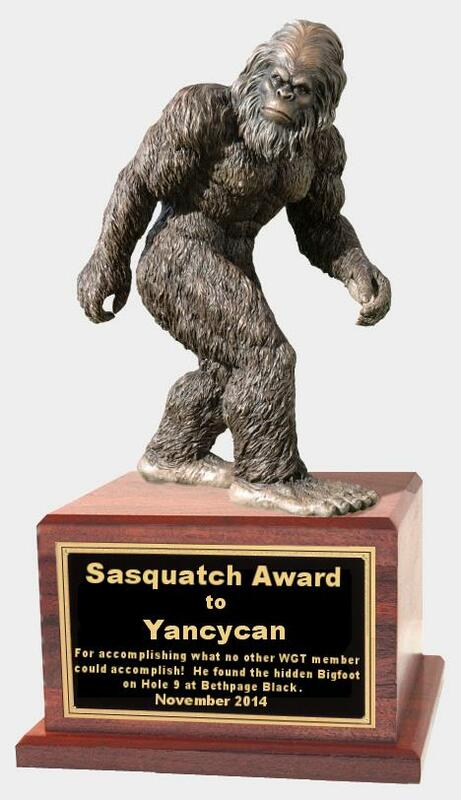 "As a WGTer known for spotting paranormal things & events on the courses of wgt.com, I (my name is Yancy) still suprised that the Bethpage Sasquatch was found by myself after 5+ years of it being out there. The circumstances could not be more unusual. That evening I had been working on documenting the infamous 'Easter Eggs aka Alien Pods' incident on the WGT Pinehurst No. 2 course. Feeling exhausted after a long day, I somehow decided to go and search for the Bethpage Sasquatch by hitting balls into unusual areas on the course. Eventually I made it to #9 (my last hole of round) after maxing out with scores of 10 on all 8 of my prior holes. So after 9 shots, I find myself behind the green with one last shot before my round gets called. I decided with nothing to lose to then fire a shot backwards towards the green and aimed for a spot in the left rough. Half asleep, I took the shot and when I saw the results I was frozen and whatnot. There it was - no question about it, right next to my avatar on the screen! Unbelievably (still), I had found the Sasquatch on my last shot on the last hole of my round. After taking a screen capture, I realized in the excitement I had not saved the replay - but I had my 'proof' which I triple backed-up for safety. Having to tell someone, and with nobody online that I 'know,' I headed to the WGT chat room run by WGTer FuzzyGazz via an IRC website. Happily, I found a few players awake and declared the sighting. Of course they responded with, 'What's the link to the screen capture?' I had not even thought to come prepared to show the discovery. Reflecting back on that night and such, my discovery of the legendary WGT Sasquatch was not something I did alone. The continued enthusiasm of other WGTers over the past 5+ years is what was me motivationals and whatnots to go on that final hunt. The WGT community at large and the commraderie like atmosphere they have created is what kept me looking year after year. The WGT Sasquatch discovery truly belongs to all the WGTers who still 'Wanted to Believe' & kept the hunt alive. While my name is on the trophy, it belongs to the best 'online community' on the web - the WGT community!" 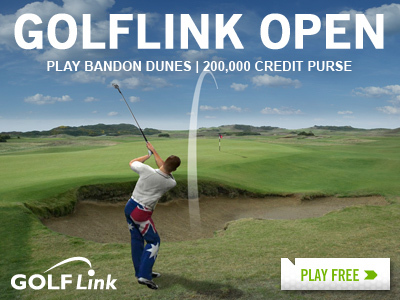 Play the GolfLink Open tournament in February on the Best of Bandon Par 3s course. Compete against players in your same WGT tier in this 9-shot closest-to-the-hole tournament for a share of the 200,000 WGT Credit purse. Tournament open to players in all countries, see tournament rules for details. Friendly reminder: Valentine's Day is 2/14. Save money on Valentine's Day gifts for her AND you're rewarded with free WGT Credits. 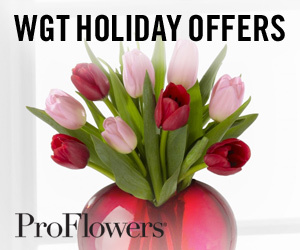 See special Valentine's Day offers on WGT for ProFlowers, Shari's Berries, FTD and more. 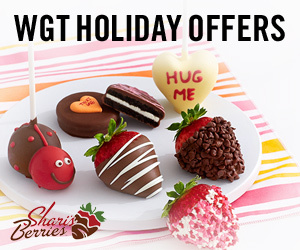 For example, buy flowers from ProFlowers or strawberries from Shari's Berries, starting at only $19.99 and you also get 1,200 free WGT Credits to use in the game. Valentine's Day is Saturday, 2/14 and most special offers are available in the United States, Canada and the United Kingdom. WGT Country Club members, play CC Event #5 going on NOW thru Sun, 2/8. 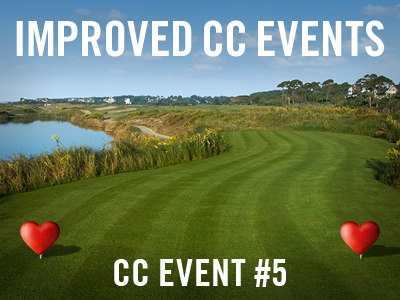 Compete against other country clubs this weekend for in-game rewards and new heart tee markers and flags. Each Event is made up of Club Clashes that last for a limited amount of time (usually a few hours). When your club is entered in an Event and you start a Clash, you'll get matched with another club close to your skill level, and a timer will show how much time is left in that Clash. Club members from both clubs then play as many rounds as they want during that time, using Club Passes and Superpasses to earn points. WGT 19th Hole: IOBannon, "The Streak"
IOBannon - They Call Him "The Streak"
According to IOBannon (aka Isaac O'Bannon), his morning ritual looks something like this: grab bite to eat, check work email, and play round of golf on WGT. The Norman, Oklahoma-based website content editor and technology PR consultant is currently on a streak of more than 589 consecutive days played, and even though he says he loves the game, it hasn't always been easy to squeeze the rounds in. 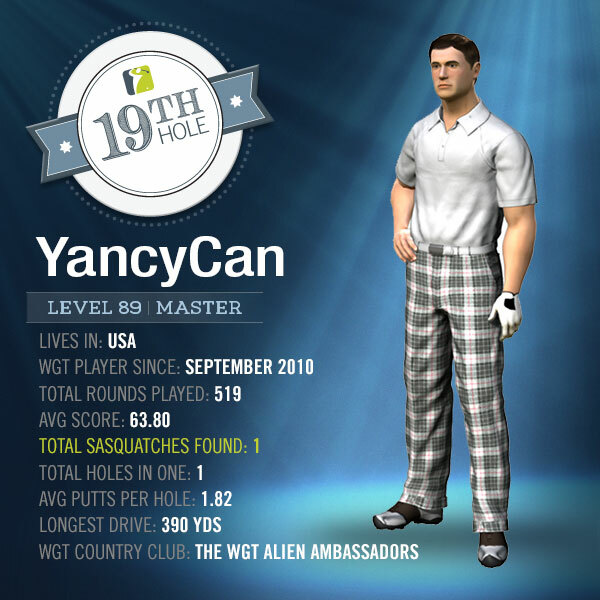 A WGT player since June 2013, Isaac says he quickly advanced to higher tiers (now a Tour Legend) by playing frequently and joining a WGT Country Club that included a few people he knew in real life, as well as players from around the world. "The friendly competitiveness of the game is exciting, and there's nothing like coming from behind to beat your buds. Joining a Country Club is a great way to learn valuable tips from players who've been on WGT for years. From putting skills and advice, to club selection and tournaments for only members of your club, they help make the game more of a community of friends." Why is the Consecutive Days Played streak important to you? IOBannon: It's partially about bragging rights and being able to tell people that I've played this game so many consecutive days, even while doing real-life things, like taking my fiancé on a cruise, or to visit my family on the other side of the country. It also helps my country club, since it lets me contribute 880 XP points to the club every day (plus bonus XP). What are the most important tips you'd give new players? IOBannon: Join a country club that is right for you. There are thousands of them, so if you don't like the first one you join, look around. 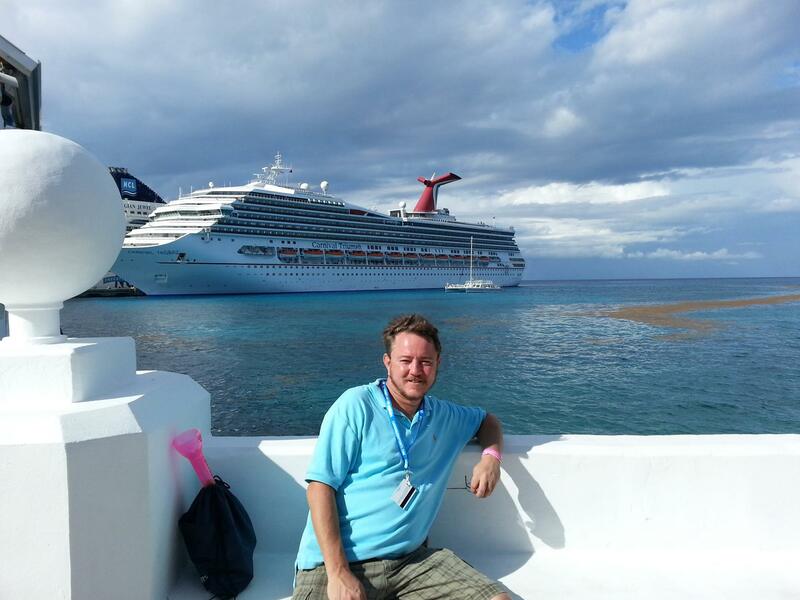 You'll meet people from around the world who enjoy the game and can give you great tips. Also, whether you buy credits or earn them, use them wisely – WGT has some really great balls that offer good spin and more distance. What would you tell new players NOT to do? IOBannon: Don't quit a multi-player game (on purpose) by just closing the game on your computer or device. Wait until your turn and select forfeit from the menu. Just quitting abruptly is rude, because it makes the others wait a couple minutes to see if you're coming back. It also hurts your reliability ranking color when playing future games, and denies the other players of some XP points. Just keep playing through bad rounds. That's the meaning behind the name of our Country Club, Seeing it Through. IOBannon: Enjoy the game and all of the variations, from playing a solo game, a live multi-player round, one of the WGT stroke play tournaments or the tournaments in your Country Club. The more you play, the more you'll love WGT. Keep and eye on your average, and save. Interested in sponsoring a WGT weekly or Monthly tournament? Just contact our Customer Support team at members[at]worldgolftour.com. And be sure to check out our two clubs who are sponsoring this week: Bridgestone and Trophy Run.